The lovely Maggie is one of the gorgeous Unity Challenge girls, and invited us to join in her challenge on the Challenge blog that she is a member of, and this is my attempt. 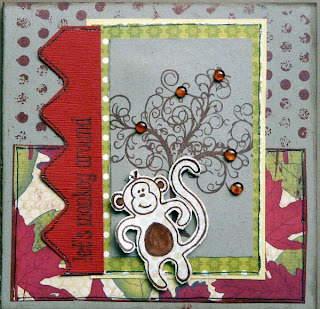 Recipe: Papers: American Craft Travel papers and ribbons, Unity Stamps: August kit of the month stamps, dewdrops, Adornit alphas. What does YOUR name mean ..
Wow - how accurate is this ?!!!! It describes me to a 'T'. 5th Unity Customer Challenge !! Soooooooo this is the 5th Unity Customer Challenge. 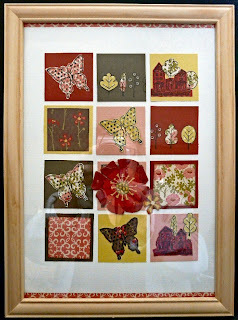 This weeks challenge was set by Sherryl, and we were asked to make a card using paper piecing. I (obviously) pieced together the lion and the monkey ! 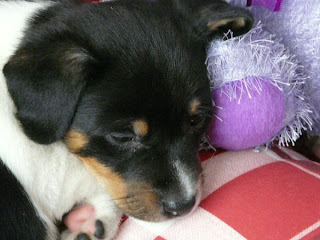 Sherryl's friend is recovering from a broken foot, but sadly injured herself again on Saturday, so my card is going to be sent to Kim Muhl (Nutsymuhl) on SCS in the hope that she picks up soon ! 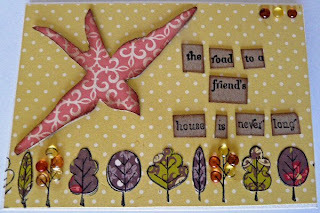 Recipe 1st card:- Blank card, Papers: Scenic Route- Sanoma, Stamps: Unity Sept Kit of the Month stamps, Embellies: SR - chipboard bird, dewdrops ! 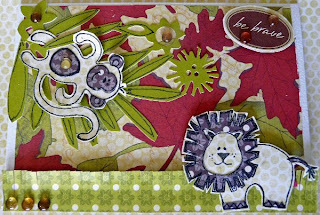 Recipe 2nd card: - Blank card, papers: Scenic Route - Sanoma, KI Mem lace cardstock, Stamps: Unity Wild & Crazy Bunch, Sentiment: 7 gypsies and lastly - some dewdrops ! 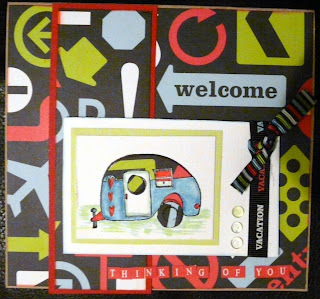 The challenge this week was set by Jeanne, and she asked us to make a card using the colours Pink & Black and using Unity Stamps - of course ! I made a pop up card, the tutorial for which is on SCS. Once again, well done to Jenn (Jennifer Buck) on being selected for the dirty dozen on SCS. 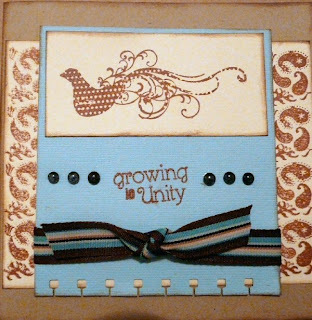 Recipe: Bazzill cardstock, Tinkering Ink papers, Unity:- Dogtooth background stamp, Hey Chick set. 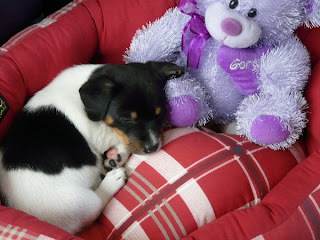 What dya think of the new Blog ?? ...... the utterly fantastic-extremely-patient-extremely-talented Veronica from VK Designs designed it all for me ... new banner, new layout, new siggy, new Ollie Owl ... I love, love, love it ! Veronica's details can be found on the left hand side under VK Designs. Once again Veronica, thank you so much for sharing your talent. The 3rd Unity Customer Hop !!! The third Unity customer hop is underway - yay !!!! Latisha chose the fabby challenge this week, which is to make a square card using scallops and to follow her sketch. My offering is above. Please make a cup of coffee and have a hop around the Unity blogs on the right >>>>>>>>>>>>>>> Enjoy !!!!!!! The 2nd Unity Customer Hop Hunt ! The challenge this week was set by Cat, and her challenge is to make a card using the Unity colours. Again, if you visit the other Unity blogs >>>>>>>>>>> (on the right) you will find some amazing work. Ribbon:- unsure - soz ! Thanks for popping by and visiting ! !